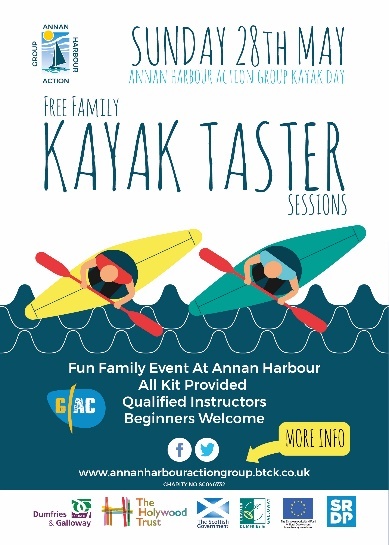 Annan Harbour Action Group is pleased to announce a ‘Kayak Day’ on Sunday 28th May when it will be offering FREE kayak taster sessions for families and will welcome a group of experienced sea-kayaks who will be paddling into the harbour after crossing the Solway from Silloth. “Part of our role is attract more people to use the harbour, so we hope this opportunity to welcome paddlers during Go Canoeing Week will encourage greater use of our facilities”. “We are very pleased to be working with our friends from Galloway Activity Centre who are providing the qualified instructors and equipment for out taster event”. 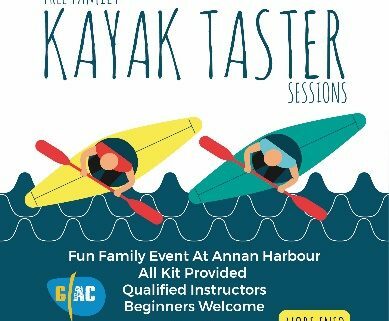 More details and contact can be made via the Annan Harbour Group web site. Annan Harbour Action Group seeks to work with the community to promote the Harbour and Annan as a hub for performance, events and festivals which celebrate and make the public more aware of their maritime heritage, history and natural environment.